Instead, he went to the beach. He first used a still camera to show his mother what surfing looked like. A regular in the Huntington Pier-Seal Beach area in high school, he enlisted in the Navy after graduation, went to submarine school and finished at the top of the class to ensure his pick of assignment, which was Hawaii. Besides surfing Ala Moana in those mid-’50s glory days with California transplant Jose Angel and others, he started taking some 8mm movies. After his discharge in 1957, Brown returned to California and was working in San Clemente as a lifeguard when a flush Dale Velzy (“World’s Largest Manufacturer”) put up $5,000 for a film that would promote the Velzy surf team. “That covered the cost of the camera, travel and a year’s living expenses,” Brown says. It was a journey that would become familiar — surfing California, traveling to Hawaii, driving in goofy beaters and sleeping on beaches. The resulting film, narrated live by Brown along with an offbeat Bud Shank soundtrack, was Slippery When Wet. Bruce took the thing on the four-wall tour in 1958, following in the footprints of pioneer Bud Browne and paralleling another rising cinematographer, John Severson. Surf Crazy, Barefoot Adventure, Surfing Hollow Days and Waterlogged followed, and Brown’s success was following the same curve as surfing’s in those first boom years. His lens documented the meteoric rise of a cult sport. In the winter of 1961, while in Hawaii with Phil Edwards making Surfing Hollow Days, he filmed Edwards’ groundbreaking first rides at the Banzai Pipeline. Never much drawn to cities or even crowded theaters, Brown moved his family (wife Pat and kids Dana, Wade and Nancy) to a remote ranch north of Santa Barbara around 1980. There Brown surfed, rode his motorcycles, built a house, got into car restoration, raced sprint cars around his track and, more recently, got into rally cars — an all-wheel-drive turbo-charged Mazda that he and Pat co-race. “We try to stay upright as much as possible,” he says. Today, Bruce Brown races his rally car and looks down at the ocean. He hasn’t surfed in a while, but he intends to go soon. The formula was effective, but the market was getting crowded with more and more surf films. In 1963, Brown decided his next film needed a different twist — two surfers, Robert August and Mike Hynson, would take advantage of the fact that when it was winter in the Northern Hemisphere, it was summer in the Southern. The concept was simple and profound — you could live in a surfer’s paradise, an endless summer. Released in 1964, The Endless Summer was Brown’s most successful surf film, playing to sold-out theaters in the United States and Hawaii. Audiences were so encouraging that Brown became convinced that this was a movie that even non-surfers could enjoy. 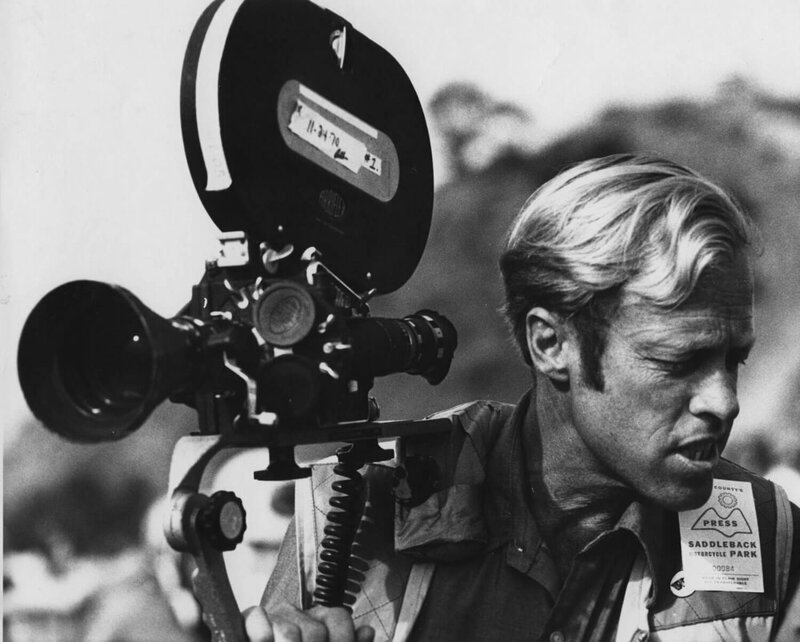 The tale of Brown’s campaign to take The Endless Summer to the American heartland is testament to the filmmaker’s creativity and persistence. In 1966, the film opened in theaters across the country, and Bruce Brown became surfing’s greatest success story.